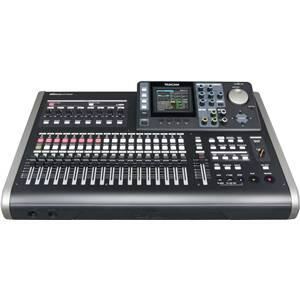 TASCAM’s DP-32SD Digital Portastudio records an unmatched 32 tracks to solid-state media. Up to eight tracks can be recorded at a time through its combination XLR and 1⁄4” combo jacks. 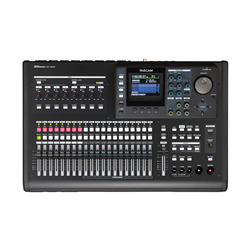 Input processing like compression and limiting are available during recording, as well as guitar amp simulation and multi-effects for use with the instrument-level input. 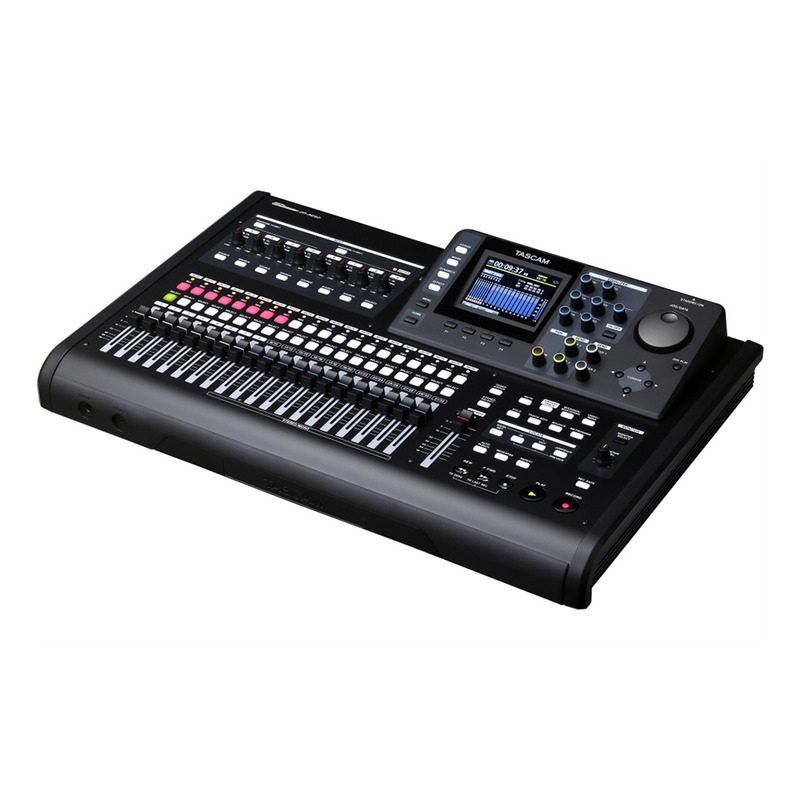 A color LCD and channel strip knobs make mixing fast and creative. The included 4GB SD card can be replaced with up to 32GB SDHC media or swapped with other cards between projects. 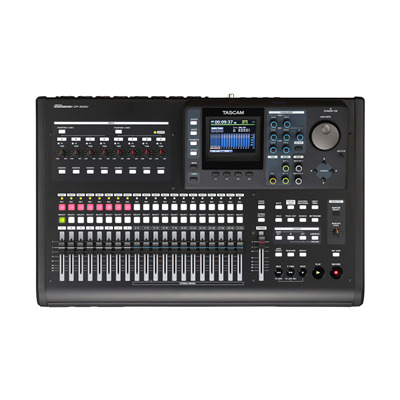 A stress-free user interface has been equipped, building upon the Portastudio series’ concept of intuitive operation. Various full-color LCD screens and self-illuminated buttons offer superb visibility. Measures have been made to increase operability, for example faders have eliminated layer structures make operating all tracks feel intuitive. Even the channel strip is equipped with encoders with unified LCD screens and colors. The operational unit moves in a way that delivers music production free of stress. 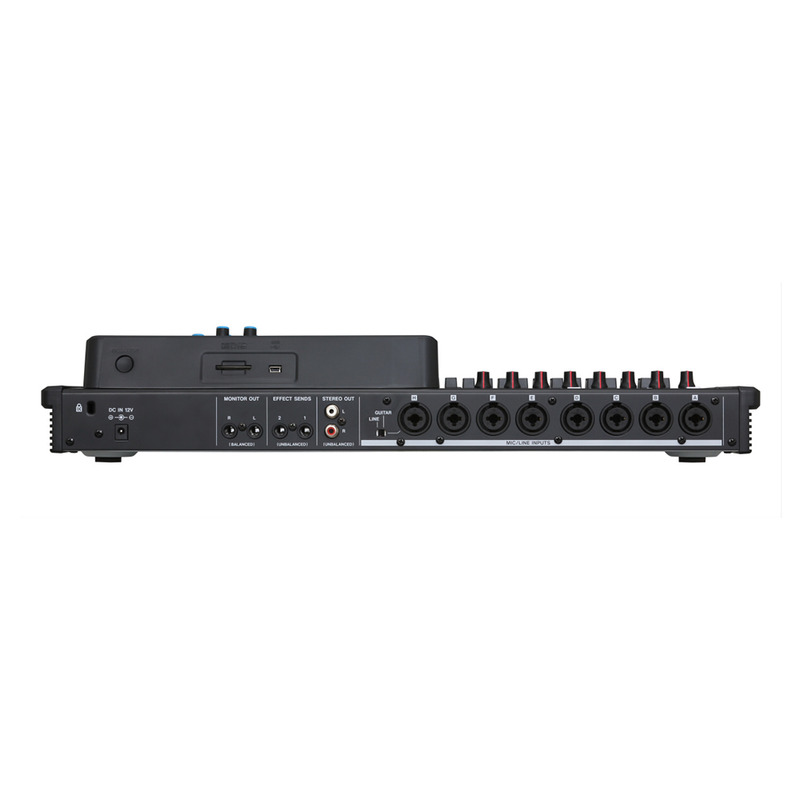 The DP-32SD has 8 XLR-TRS combo inputs that can withstand multi-microphone recording with drums. Phantom power supply is also possible, with the INPUT H compatible with direct guitar inputs. With dynamic effects, which are indispensable for high-quality recording, up to 8 effects can be used for each input. 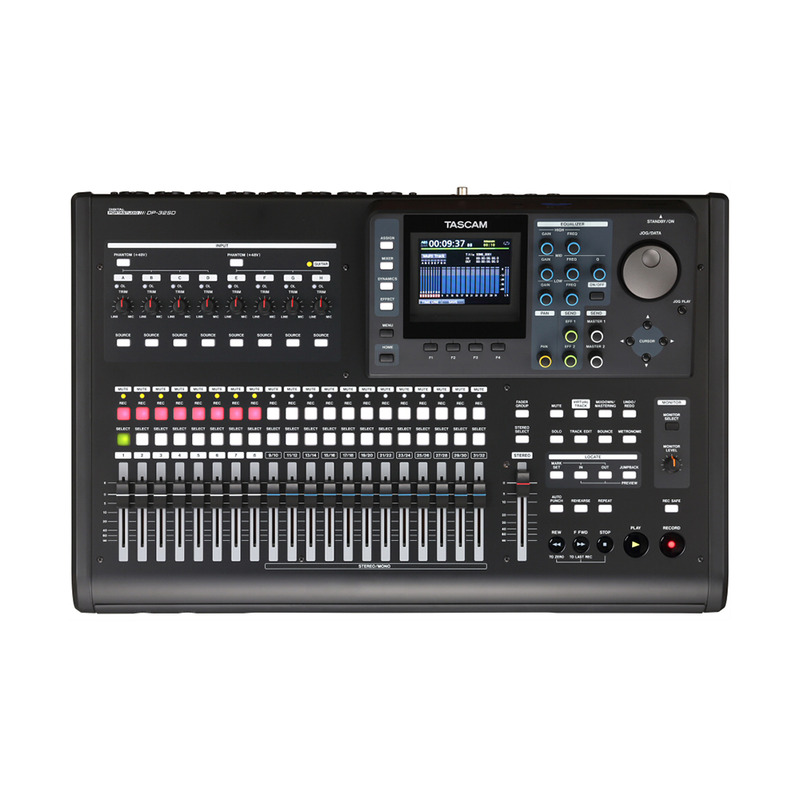 In addition, the DP-32SD comes with built-in guitar multi-effects, tuner, and metronome, allowing users to complete recording preparations with this device alone.